Make yourself at home in one of the 95 air-conditioned guestrooms. Complimentary wireless Internet access keeps you connected, and satellite programming is available for your entertainment. Private bathrooms with showers feature complimentary toiletries and hair dryers. Conveniences include phones, as well as desks and complimentary newspapers. Featured amenities include multilingual staff, laundry facilities, and an elevator (lift). This hotel has 9 meeting rooms available for events. Free self parking is available onsite. Enjoy French cuisine at Le Secret, a restaurant where you can enjoy drinks at the bar and dine alfresco. Or stay in and take advantage of the room service (during limited hours). Buffet breakfasts are available daily from 7 AM to 10 AM for a fee. A stay at Le Régent Hotel & Spa places you in the heart of Pornichet, steps from La Baule Beach and 5 minutes by foot from Casino de Pornichet. This spa hotel is 0.5 mi (0.8 km) from Daniel Jouvance Thalassotherapie Centre and 1.2 mi (2 km) from Rivage Thalasso & Spa. With a stay at Relais Thalasso Baie de La Baule Château des Tourelles in Pornichet, you'll be near the bay, within a 15-minute walk of La Baule Beach and Hippodrome de Pornichet-La Baule. 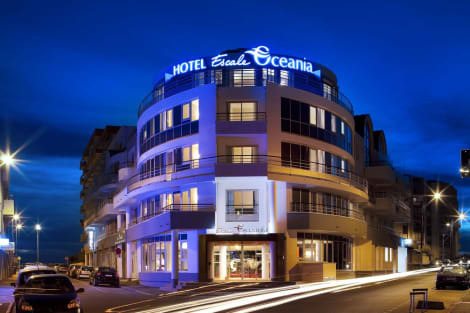 This 4-star hotel is 1 mi (1.7 km) from Casino de Pornichet and 3.8 mi (6.1 km) from Notre-Dame de La Baule. Bonne Source / Sainte-Marguerite, venue for artists and businessmen of the late nineteenth century, the area bordered by four miles of beaches and coves, has retained its relaxed lifestyle and exceptional wooded . Neighborhood family holiday on the beach with beach clubs, bar-restaurant and sailing schools. The villas at Sainte Marguerite area located on an exceptional site, in an enclosed garden area of 2.5 hectares with swimming pool, in Sainte-Marguerite, in the most secret and unspoilt part of Pornichet, 350 meters the beach. Villas very comfortable, from 85 to 105 m2, furnished and decorated. Four pavilions are reserved for disabled persons. lastminute.com has a fantastic range of hotels in Pornichet, with everything from cheap hotels to luxurious five star accommodation available. We like to live up to our last minute name so remember you can book any one of our excellent Pornichet hotels up until midnight and stay the same night.